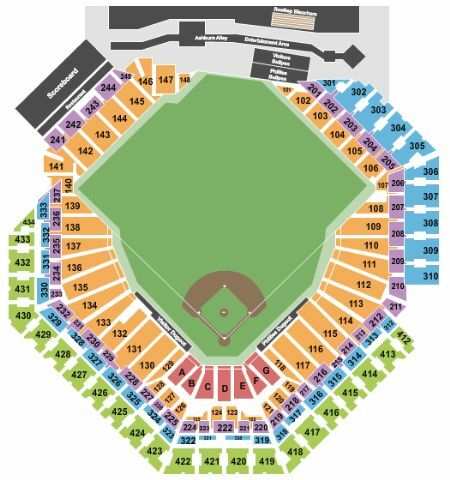 Philadelphia Phillies vs. Miami Marlins Tickets - 4/27/2019 - Citizens Bank Park in Philadelphia at Stub.com! Mobile Entry Tickets. Must have smart device on hand to enter event. Do not print these tickets. Tickets will be ready for delivery by Apr 26, 2019. Mobile Entry Tickets. Must have smart device on hand to enter event. Do not print these tickets. Tickets will be ready for delivery by Apr 25, 2019. Mobile Entry Tickets. Must have smart device on hand to enter event. Do not print these tickets. Aisle seats. Mobile Entry Tickets. Must have smart device on hand to enter event. Tickets will be ready for delivery by Apr 26, 2019. Tickets will be ready for delivery by Apr 24, 2019. Mobile Entry Tickets. Must have smart device on hand to enter event. Tickets will be ready for delivery by Apr 25, 2019. Mobile Entry Tickets. Must have smart device on hand to enter event. Do not print these tickets. Tickets will be ready for delivery by Apr 24, 2019. Does not include admission to event. Tickets will be ready for delivery by Apr 26, 2019. These tickets are a Side View meaning that they are located to the side of the action. You may be seeing the performer from the side for the majority of the show. These tickets are an Obstructed View and your view of the action and the stage/set/field will occasionally be blocked.